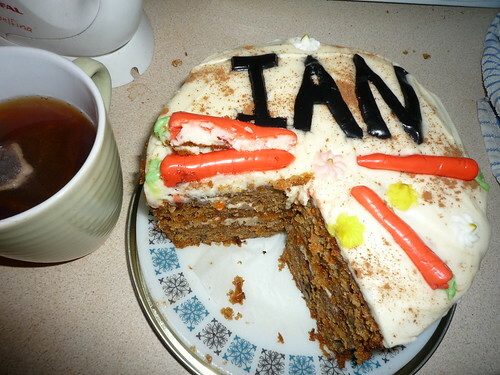 It was my birthday last week so Beth made me this birthday carrot cake. It’s a close 2nd to battenburg, but it had my name written on it so obviously wins. Delicious. This entry was posted on Sunday, February 7th, 2010 at 9:30 pm	and is filed under Uncategorized. You can follow any responses to this entry through the RSS 2.0 feed. You can leave a response, or trackback from your own site. That looks awesome! Save me a piece chum! Oh, and happy birthday by the way.